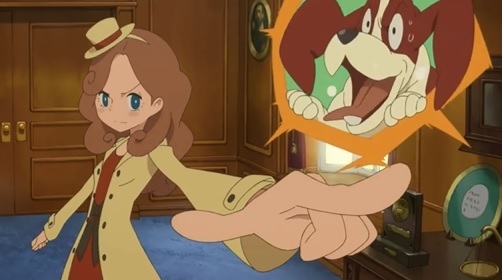 Lady Layton Stars Professor Layton’s Daughter to Appeal to the Female Fanbase? Yes, really. That’s the logic behind it. Level-5 CEO Akihiro Hino has told Famitsu that roughly half the franchise’s audience are female, and he thinks a female main character could appeal to them. He says in some series, they become popular due to the female audience identifying with them. Hence why Professor Layton’s daughter is the main character in the new game. But do you know what? Do you know what I think about this? That it’s exactly how a franchise SHOULD implement a female main character. For starters, Lady Layton doesn’t actually gender swap the professor himself. It’s not like ‘female Link’ or ‘female Thor’ or whatever else. It’s a brand new character with their own personality that just happens to be female. That’s better than replacing a beloved icon to pander to internet complainers. Additionally, the general gameplay and feel of the series hasn’t been screwed up. It’s just a Professor Layton game with a new main character that’s set a few years after the previous ones. So anyone who likes the series will like this game just fine. Now contrast that with say, Ghostbusters 2016. The difference is blatantly clear; Lady Layton seems like it’ll feel exactly like a Professor Layton game. On the other hand, Ghostbusters felt nothing like a Ghostbusters movie. And while it’s a bit early to judge the storyline or script, it seems like the game isn’t trying to shoehorn in unnecessary ‘morals’ either. It’s not trying to attack one gender to promote another. It’s not trying desperately hard to appeal to the Tumblr demographic. The male characters aren’t treated like idiots. Instead, it’s just a standard Layton game with a standard mystery format and the usual setup behind it. So yeah, it has a new protagonist. It’s meant to appeal to a female demographic. But it’s done right because it’s a good game that features its own unique protagonist and story, not a vapid and insulting gender swap. Forget Ghostbusters or Marvel’s recent comics, this is how you add a female protagonist to an existing series. Professor Layton vs Ace Attorney; New Screenshots! Professor Layton vs Ace Attorney; New Screens!